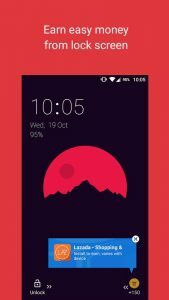 MooCash is a lockscreen app that has you download apps or other tasks from the lockscreen. 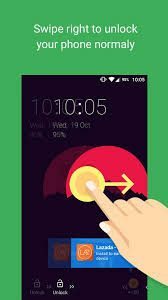 Some apps only need to be installed and opened once (keep the apps running for at least 5 minutes to finalize the tasks), others require keeping them on the phone for at least 3 days to be paid out in full. 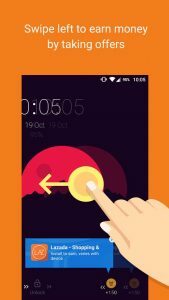 It is one of the faster earning apps I have as a lockscreen (I have it installed on a different phone than my main phone). I made $10 my first few days using it since I went for every task the lockscreen gave me. They claim you can earn up to $5 per day. They allow having it on at least two devices per account. If you don’t earn coins from downloading and playing the apps for the minimum 5 minutes, they will alternatively award you with diamonds you can use to play games on Moojoy for additional coins. There are additional methods to earn coins. You can now open the MooCash app and select apps to download and run for coins in addition to downloading apps from their lockscreen. Click here to sign up! and use code USRUVRMT for bonus coins!